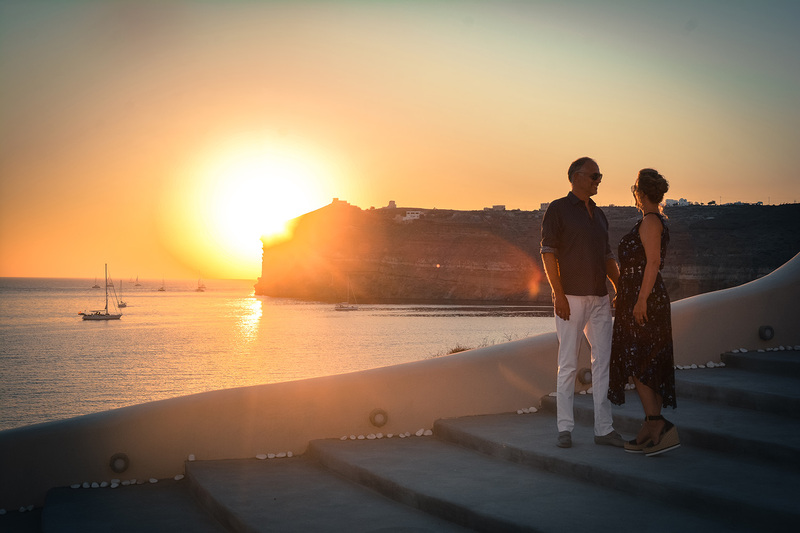 In Akro you can have all the prestigious privacy and the elegant luxury you need for your most treasured moments of your life. 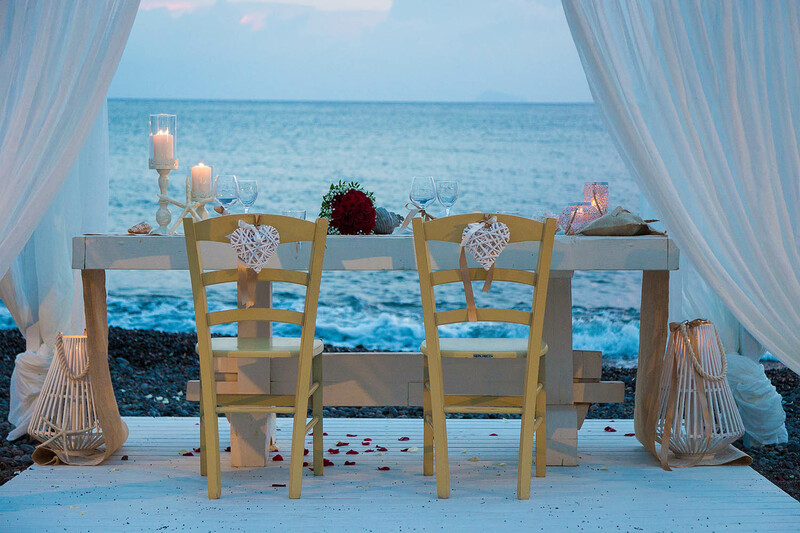 Enjoy the perfect intimate dinner, or book the whole restaurant for your special occasion with exclusive romantic atmosphere and reminiscent flavors that . 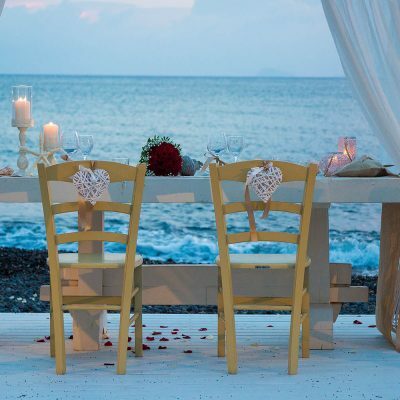 You may settle a marriage proposal or just have a romantic time with your special someone any time you like. 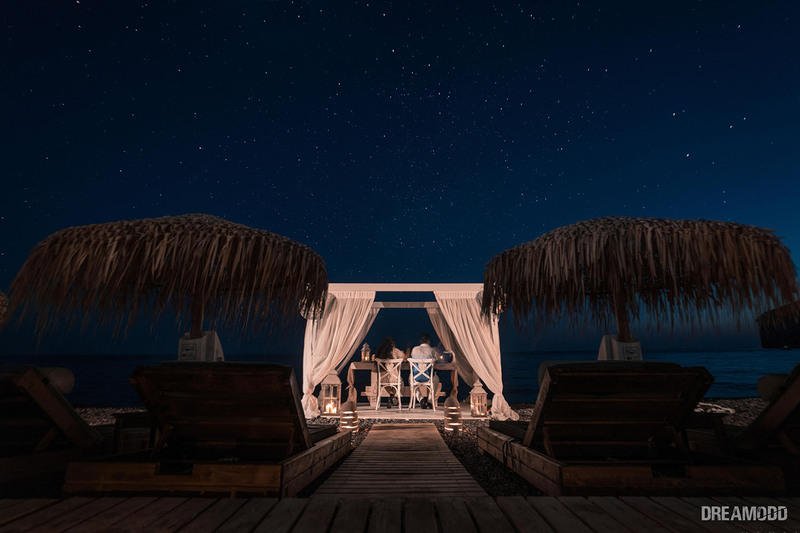 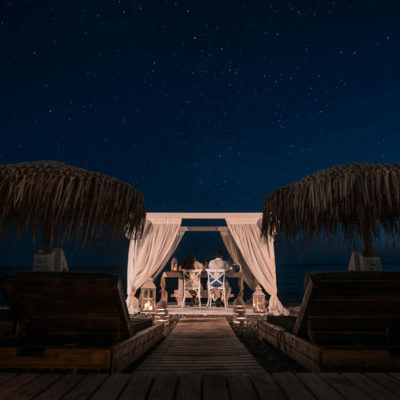 Once in a blue moon you find a destination so peaceful, so beautiful and so romantic that you want to make it yours, if only for a night. 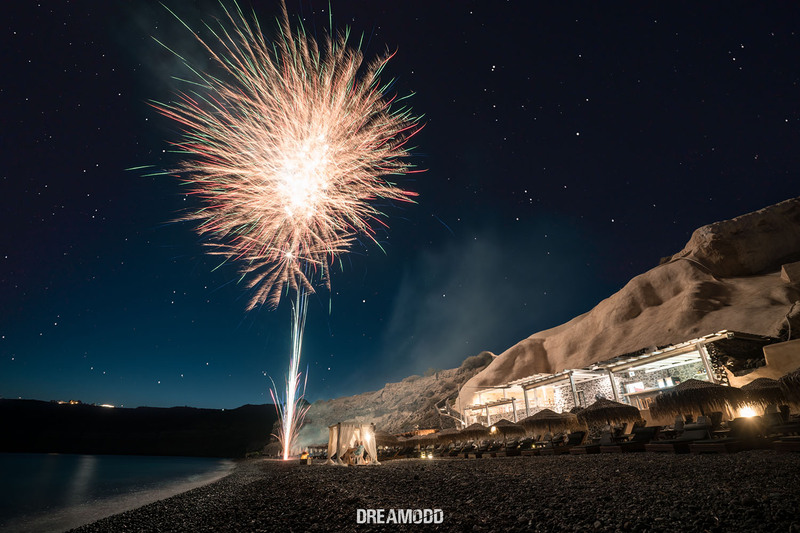 Leave your rational minds behind and take an artists tour at Akro. 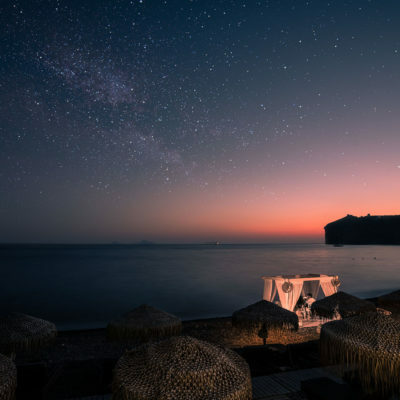 Get lost to the most famous moment in Santorini and never return to civilization. 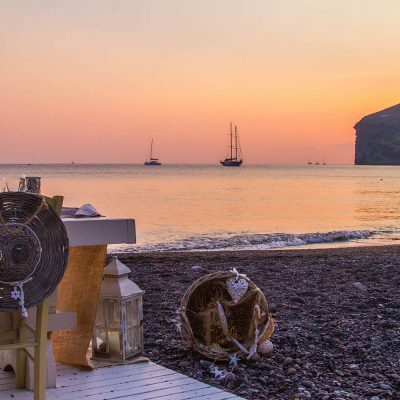 Imagine a soft evening where magic aura of our island is spread everywhere, so our visitors can enjoy every minute in this good energy beach. 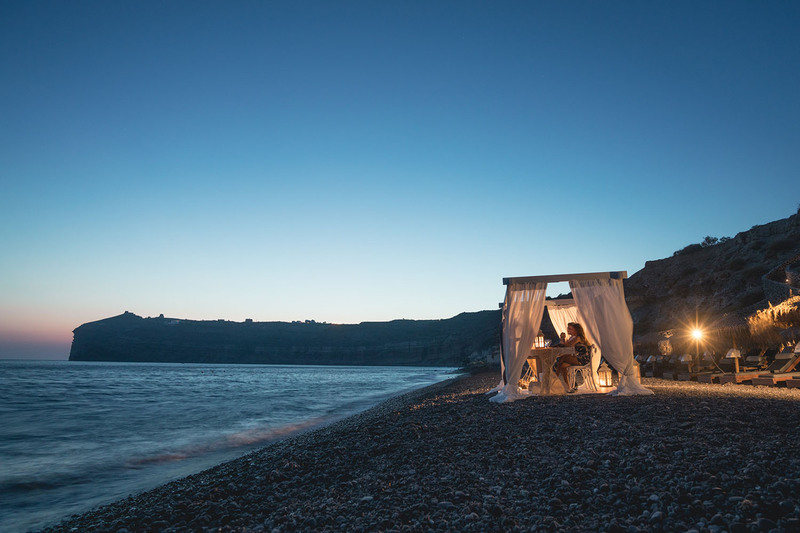 It makes you wonder How should we live our lives? 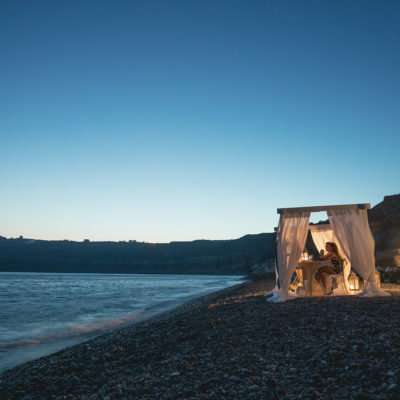 Simply and naturally, compassionately and lovingly. 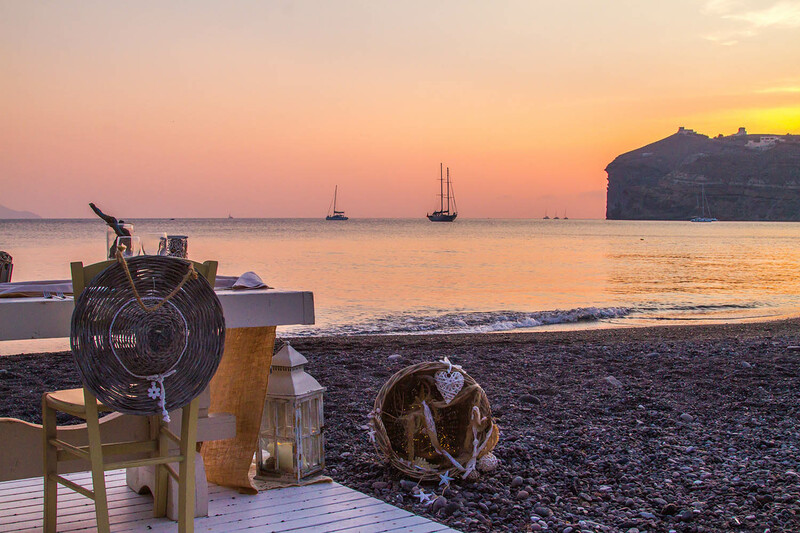 Our Santorini sunset is alive ..so should you. 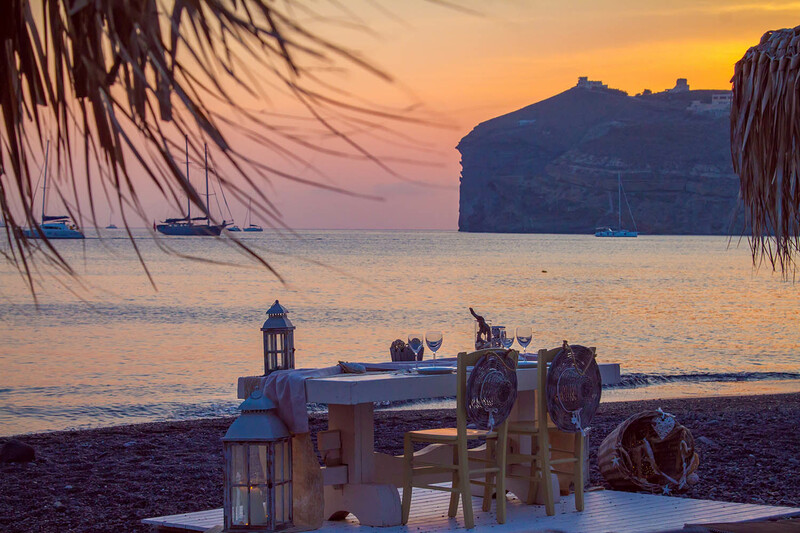 The giant, burnt-orange sphere sinks towards the horizon, coloring the rock layers until its gone while sky and beach are covered in colors. 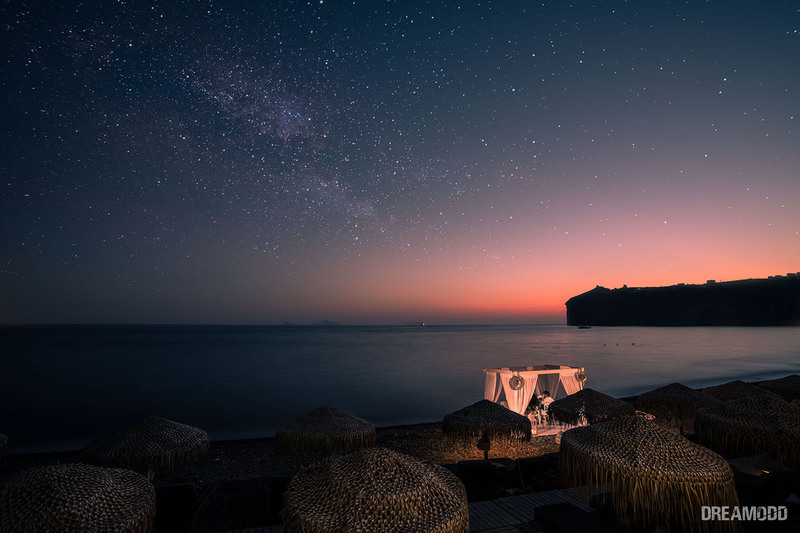 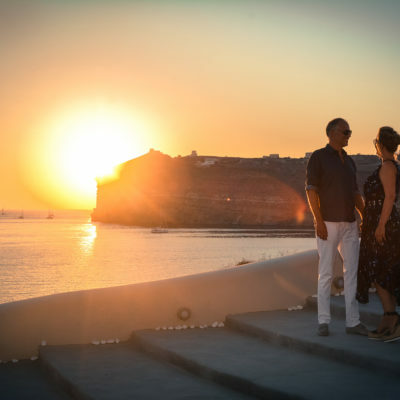 Our Santorini sunset is enjoyed sensually, intellectually and emotionally. 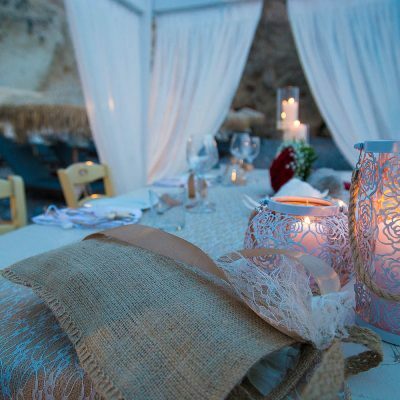 A sensory pleasure takes place at Akro. 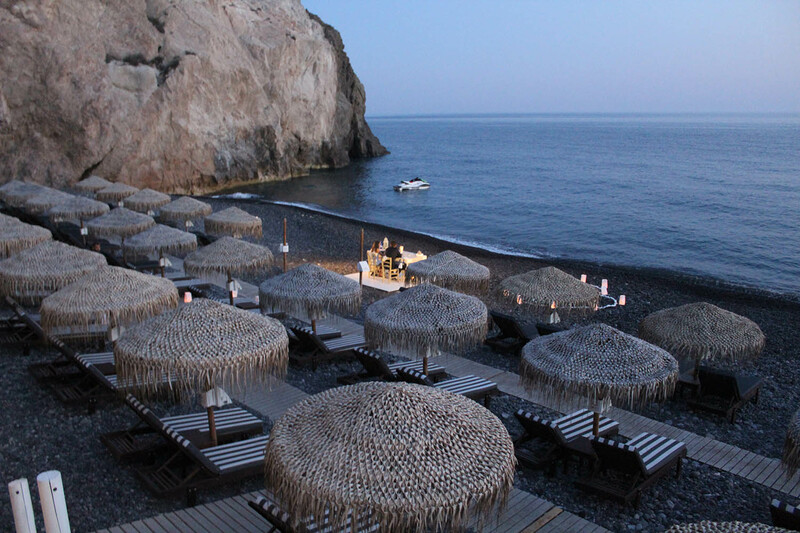 Beach stretches, cozy coves, dramatic caves, seductive sun, windless weather Akro beckoning beach is among the most bewitching on the planet. 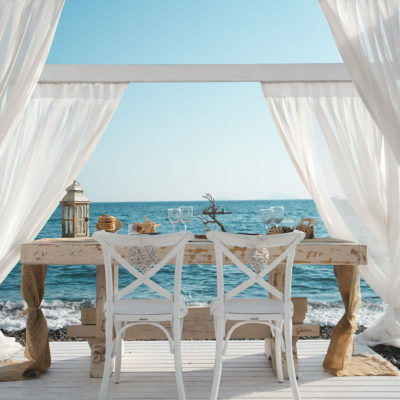 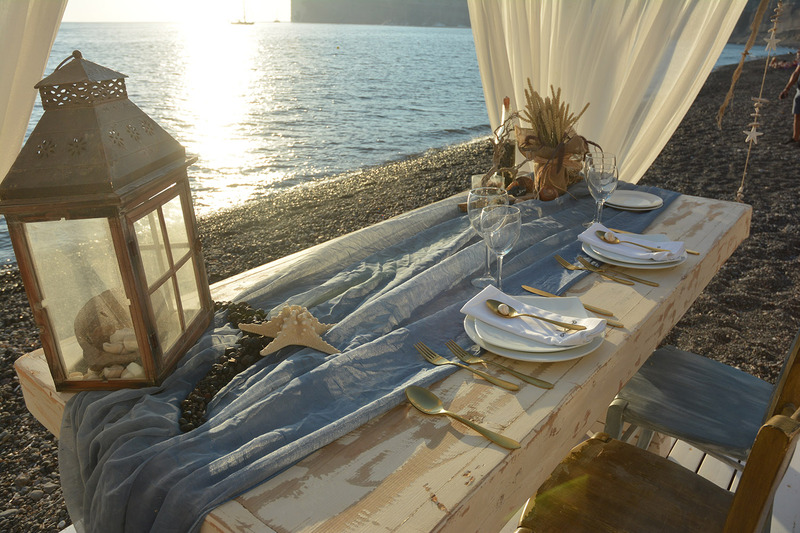 Have your private dinner hearing the sea sound and re evaluate your attitude in life. 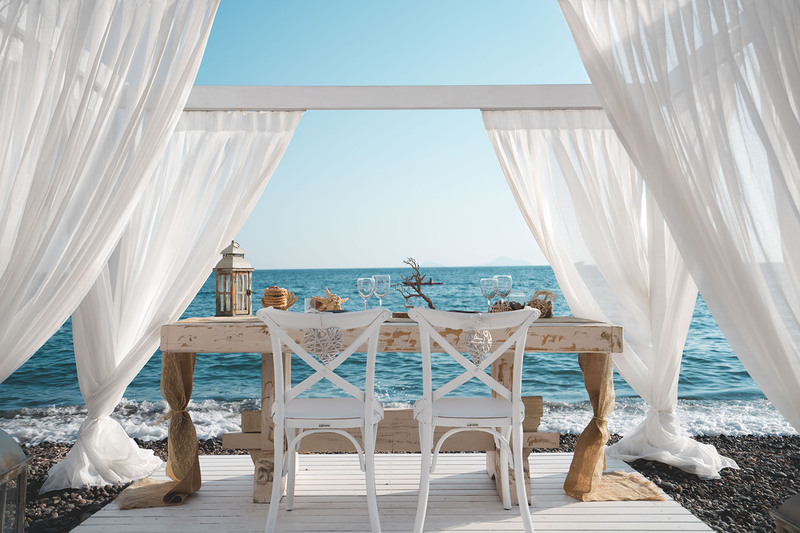 Have it your way, while looking out over one of the islands best beaches. 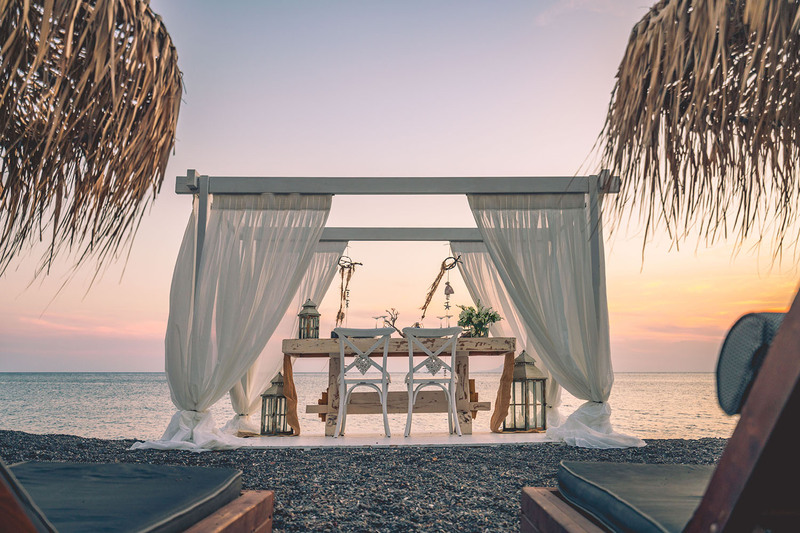 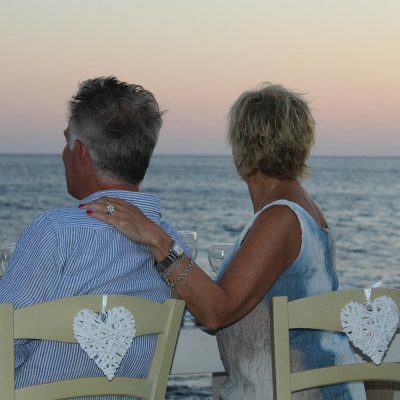 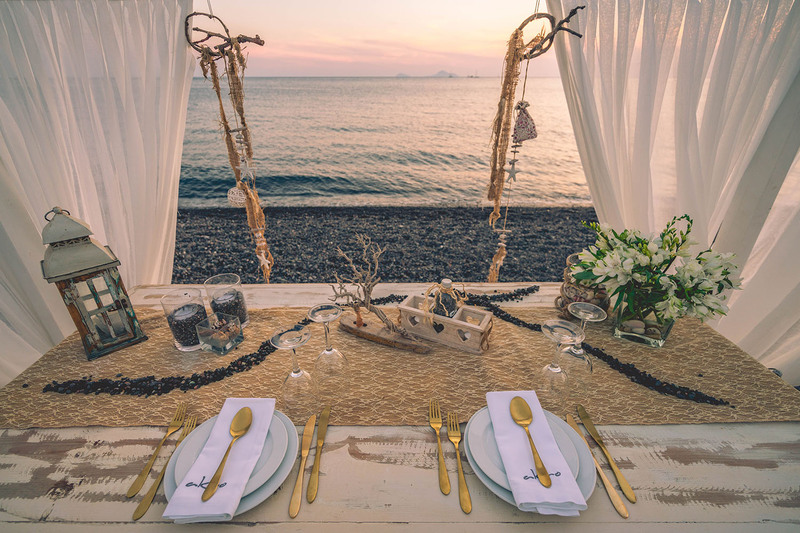 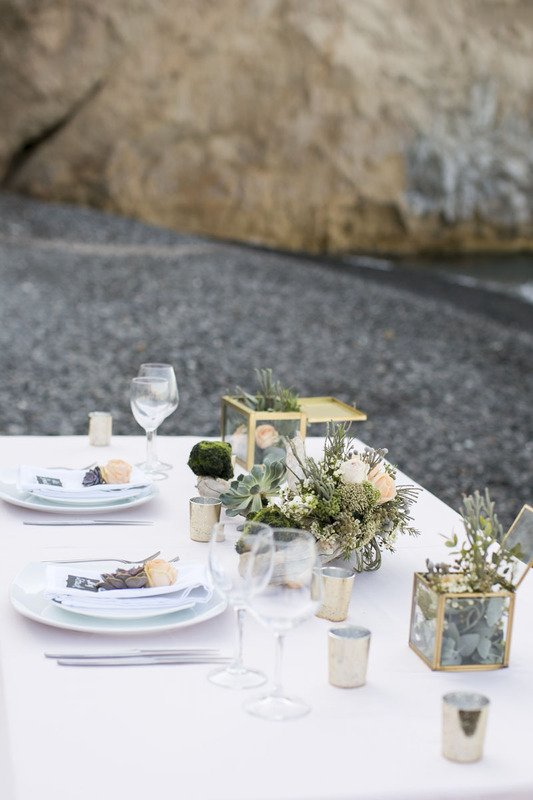 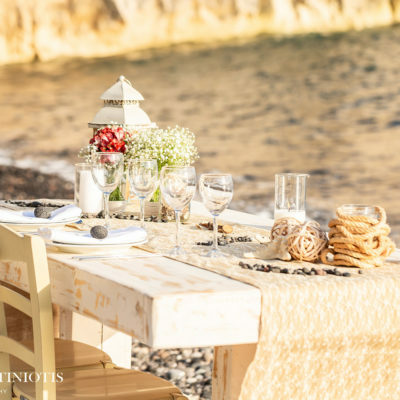 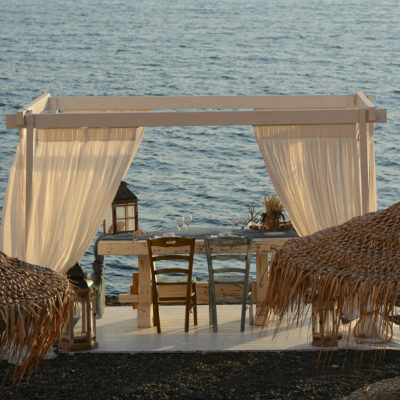 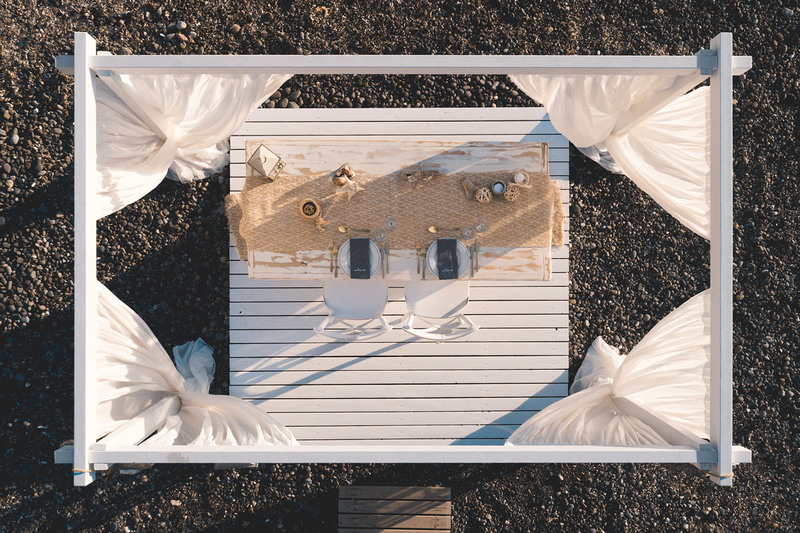 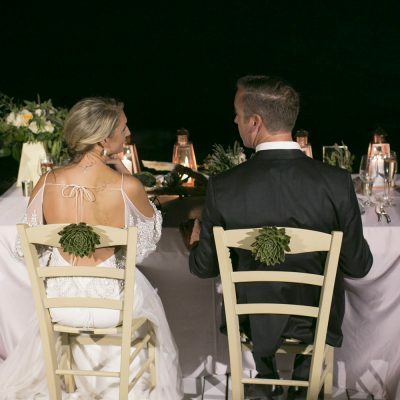 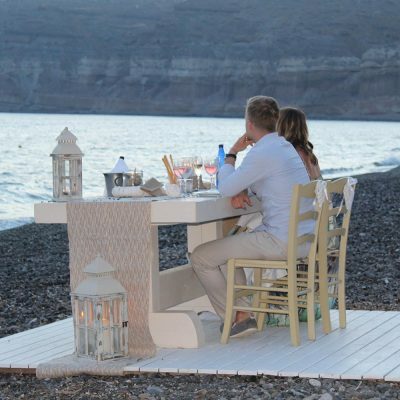 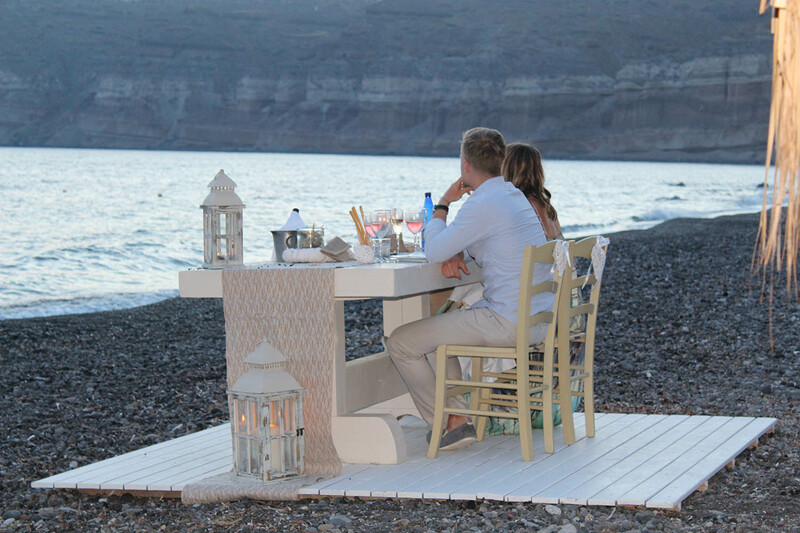 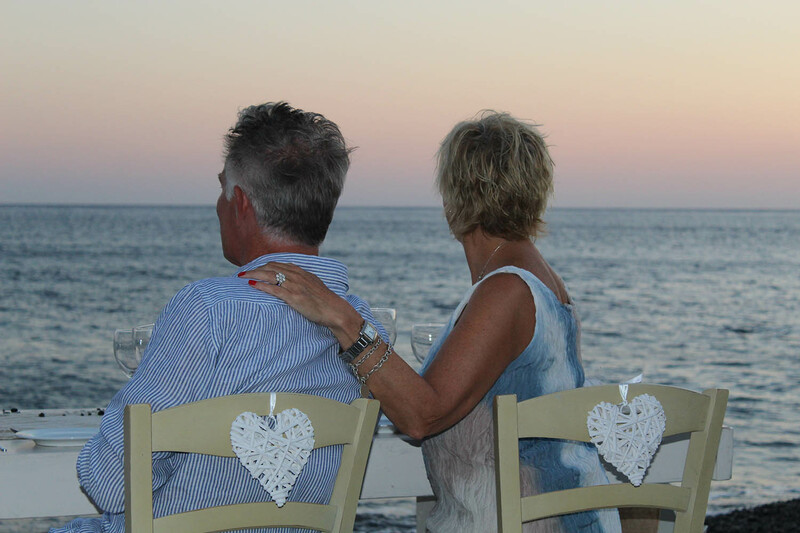 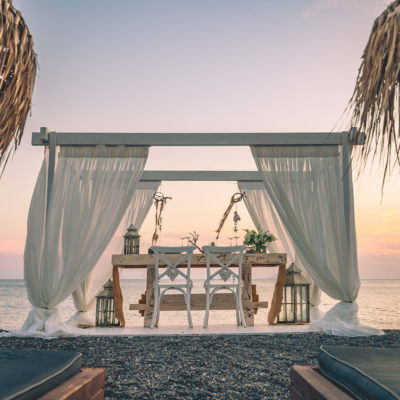 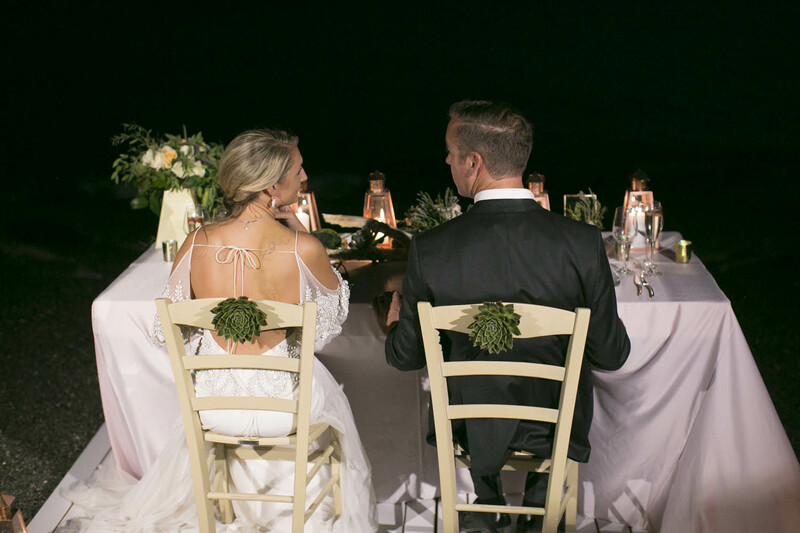 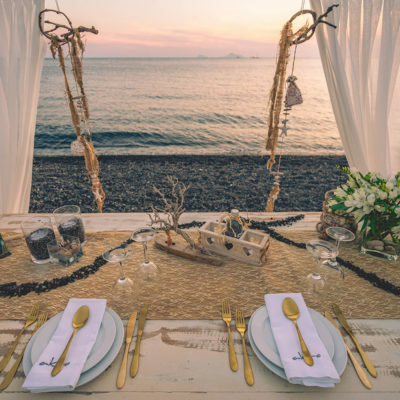 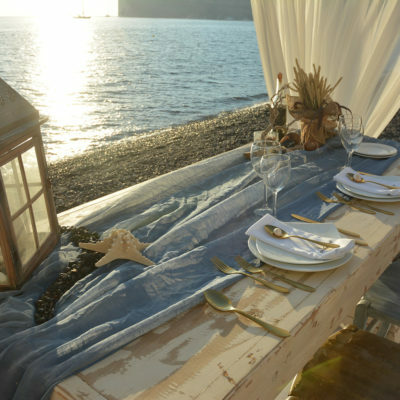 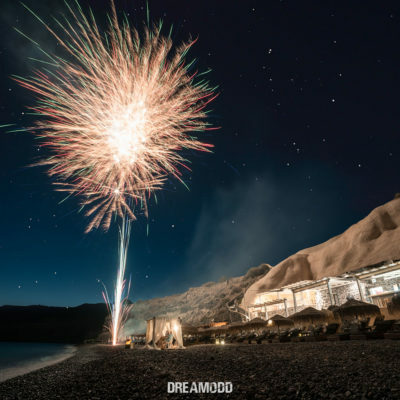 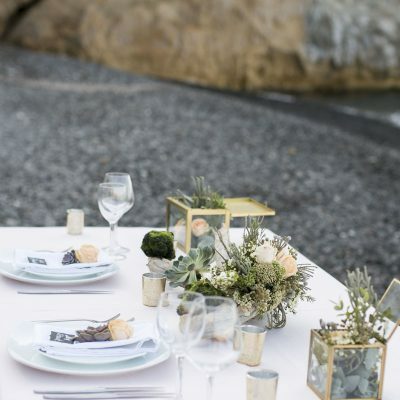 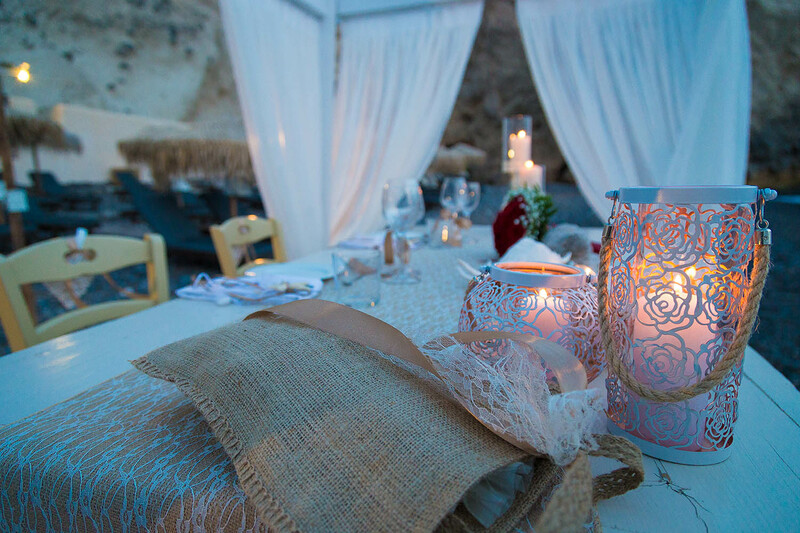 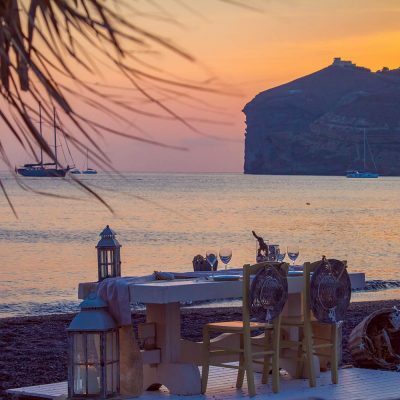 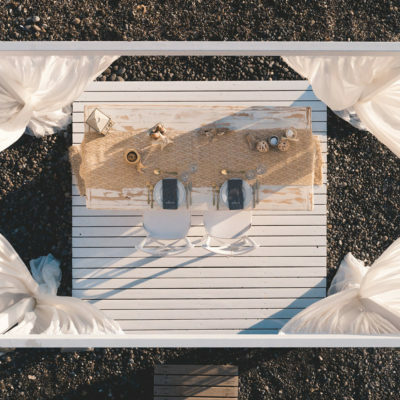 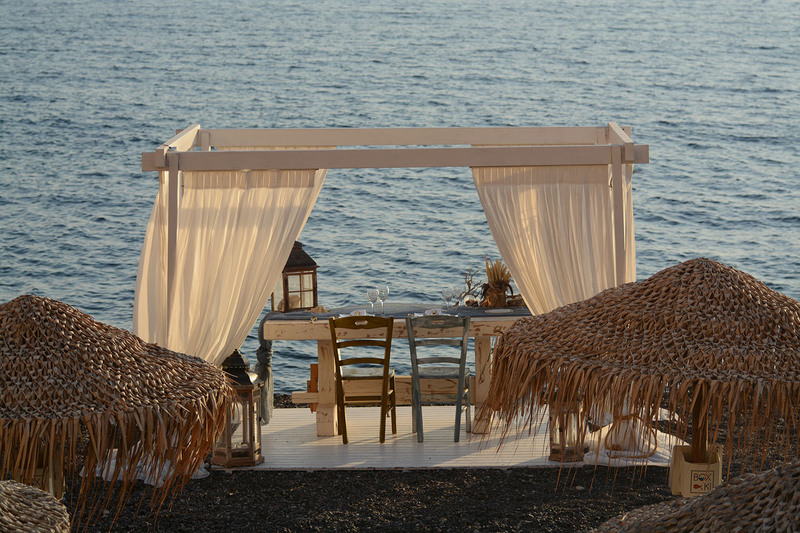 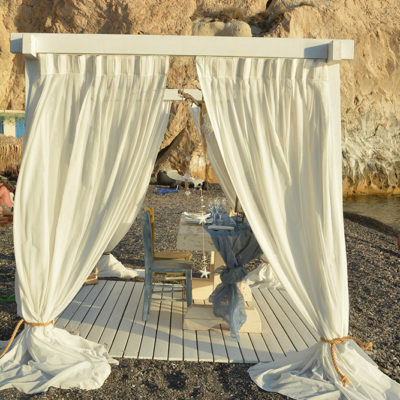 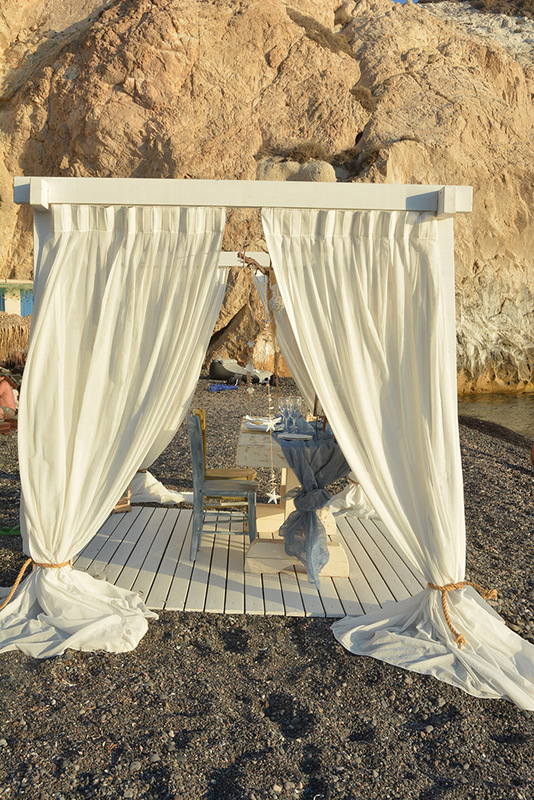 Head here for the best private dinner of Santorini island. 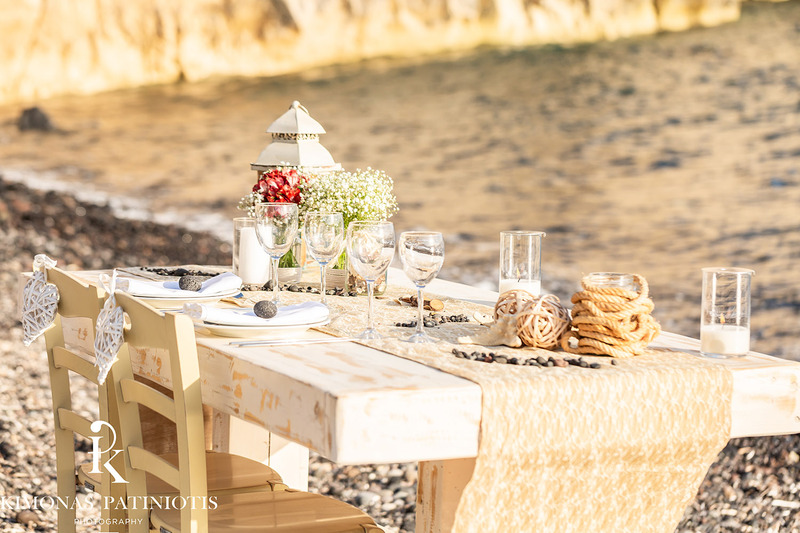 Pre-booking is a must so you can be able to serve you the best way possible.